Angry Busways drivers will walk off the job tomorrow as the Transport Workers Union’s (TWU) war with Busways escalates, causing disruption to commuters. TWU members voted for more action to be taken during a one hour stoppage last Friday, September 7. Drivers voted unanimously across five depots, including Penrith, to go ahead with further protected industrial action as they continue negotiations with Busways. Assistant secretary of the TWU, Mick Pieri said action would continue until a new enterprise agreement could be agreed upon. “This won’t end, it’s very important that Busways respect their drivers and do the right thing by them and that’s by actually coming and listening to their issues,” he said. Participating drivers will walk off the job between 6am and 7am on Tuesday, and between 4.30pm and 5.30pm. Participating drivers also continuing not to use Opal Card readers. “We spoke to Busways and all they have come back with is a threat to dock 20 per cent of our workers’ pay,” Mr Pieri said. 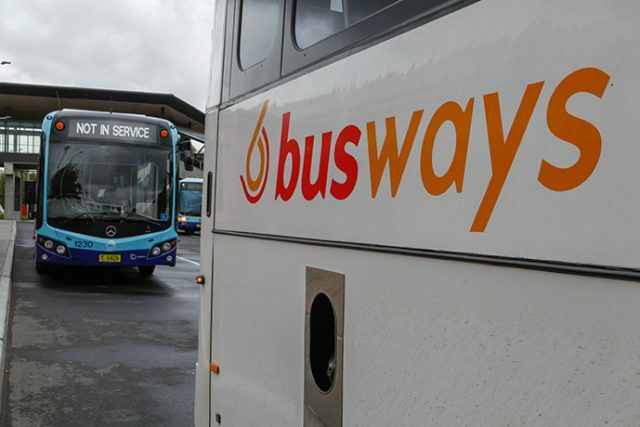 Managing Director at Busways, Byron Rowe said the pay rise drivers are seeking is unrealistic. “We genuinely care about our employees… Contrary to the TWU’s recent claims, we pay our drivers fairly and are consistent with the top paying passenger transport operators,” Mr Rowe said. Negotiations over a new enterprise agreement have been taking place since late last year.